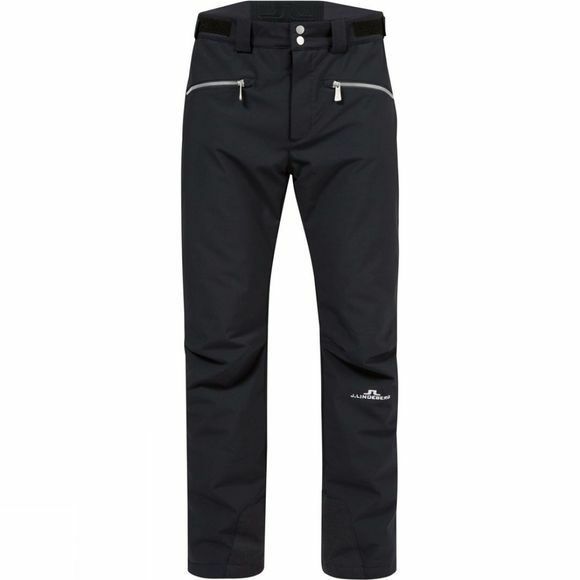 These trousers, with reinforced interior, will make your ride downhill smooth and you’ll be well equipped when kicking up powder. The water repellent insulation Primaloft Gold 60g keeps you warm all day long, even in extremely cold climates. The 2L outer shell with stretch shields you from the weather elements with a waterproof, windproof and breathable technique. It has a durable, water repellent finish and bi-stretch for your maximum comfort and freedom of movement. It also has a durable water repellent finish all for your maximum comfort. They have an adjustable waist, a snap-in-system and a snow gaiter. The trousers are also equipped with the sophisticated RECCO Rescue System. The RECCO reflectors do not prevent avalanches, but skiers equipped with them provide them the chance to be found by organized rescue teams.